What is the leaf wetness sensor? 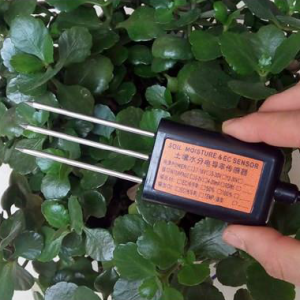 How to choose leaf wetness sensor in 2019? Before introducing the leaf wetness sensor, I would like to talk about the effect of leaf wetness on plants. Leaf wetness refers to the presence of free water on plant leaves, and can result from several factors, including precipitation intercepted by the canopy and dew. Dew forms as a result of the condensation of water vapor on a canopy that has experienced radiative cooling to the atmosphere, causing their temperature to drop below the dew point temperature of the surrounding air space. On overcast nights, the occurrence of dew is less likely because longwave radiation emitted by clouds may keep the canopy temperature elevated above the dew point temperature. There are two possible sources for the water vapor that condenses on the canopy. The first and most commonly noted and modeled source of water vapor is from the atmosphere. This contribution to the overall dew amount is referred to as dew fall. The second source is evaporation from the soil surface. This process is referred to as distillation, or occasionally, dew rise. Another natural source of free water on leaves is guttation, which occurs in some, but not all crops. In guttation water is exuded from the interior of the leaf onto the surface. A final source of leaf wetness is overhead irrigation, typically treated in a similar fashion to rainfall. The humidity of plant leaf surface has an important influence on the pathogen of leaf infection. When there is a certain amount of water vapor on plant leaf surface, it is easy to be infected by fungi and bacterial diseases. During the infection period, if the leaf surface is completely wetted, it will be beneficial to the infection. Once the pathogen infects, it will destroy the leaf surface structure. 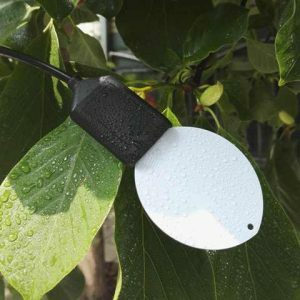 Leaf wetness sensor can detect the existence and duration of leaf humidity, and the effect of wettability on pesticide droplet retention in pest control, so as to predict the occurrence of diseases and take relevant protective measures for plants or crops. Leaf wetness sensor is the basis for the development of precision agriculture. Using leaf wetness sensor: to understand the growth and development of crops and crop growth research. Prevention of pests and diseases and early warning. Foliar fertilization, spraying, spraying and irrigation control. 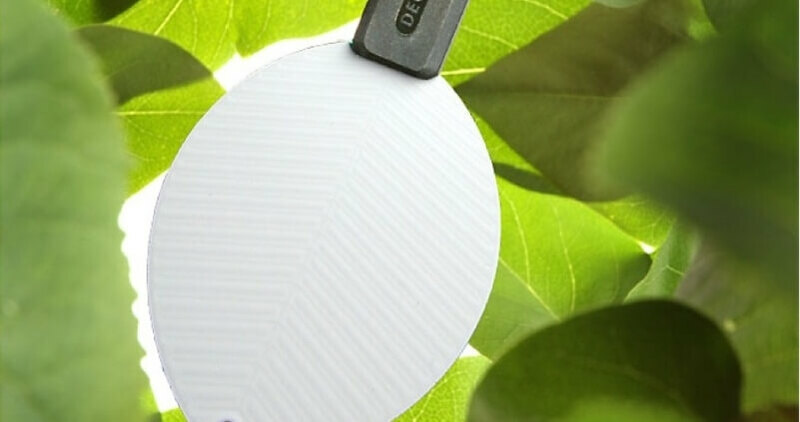 The shape of the leaf wetness sensor is designed by imitating the blade, which can simulate the page characteristics of the blade, so it can more accurately reflect the situation of the blade surface environment. It measures the presence of fog, water or ice by simulating the change of dielectric constant on the upper surface of the blade medium. Unlike sensors based on resistance measurements, it does not require coloring or calibration, but also provides effective ice monitoring. Simulate the structure design of the blade surface, so that the sensor can truly reflect the process of water loss on the blade surface. It can detect fog, ice, dew and rainfall. Waterproof seal, can be directly applied to foliar fertilization, spraying, sprinkler irrigation occasions, can be used outdoors. High accuracy, fast response, good interchangeability and reliable performance. When using leaf wetness sensors, regardless of wheather the sensor is a commercial product, a commercial product that is modified by painting, or a custom product produced by the researchers, placement within a crop canopy is important to consider. Researchers found that within a grape and coffee canopies, placement is not as important as it is within a maize canopy or an apple tree. As a research community that utilizes leaf wetness sensors, it is important that we establish a standard for their use. Historically, sensors have been placed in a field at varying orientation angles, which prevents comparison between studies. Sentelhas et al. (2004a) and Lau et al. (2000) have suggested that orientation angles of 30 or 45 degree be utilized when using the sensors (although this orientation would apply for any sensor with a flat surface). 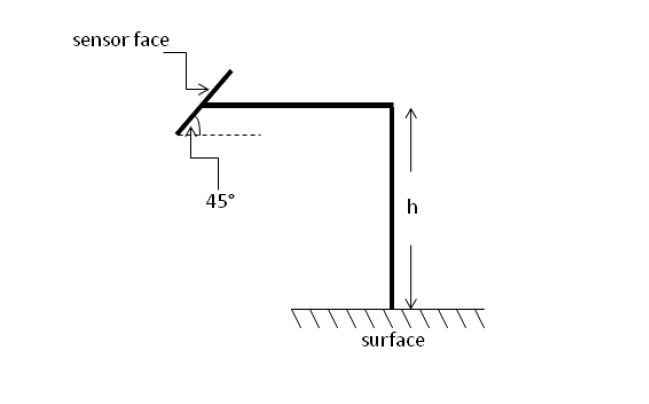 Based on the evidence, it is suggested that flat-plate sensors should be oriented at 45 degree with the sensor face facing away from the equator and toward the nearest pole. Leaf wetness is a meteorological parameter that describes the amount of dew and precipitation left on surfaces. 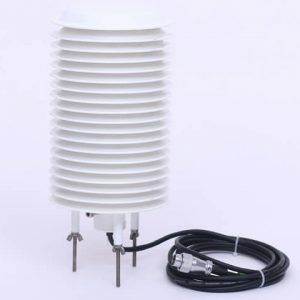 It is used for monitoring leaf moisture for agriculturalpurposes, such as fungus and disease control, for control of irrigation systems, and for detection of fog and dew conditions, and early detection of rainfall. By change in electrical resistance between two metal conductors in an alternate finger or double spiral configuration on a flat surface, either flat or cylindrical. The conductors are usually gold plated for corrosion resistance. An issue with this method is that measurements depend on droplets being large enough to bridge the gap between the conductors. A surface coating of for instance hygroscopic latex paint may be applied for more consistent results.Resistance measurement is often by alternating current excitation. By measuring the change in the dielectric constant of the surface of a sensor, thus detecting the presence of water or ice on the sensor’s surface. A sensor with hygroscopic properties where a change in sensor length or weight can be measured mechanically. Because leaf wetness or leaf wetness duration is so critical to the onset of many common fungal diseases in grapes there is a need, especially in wine growing countries like New Zealand, to find the most accurate way to determine leaf wetness. Leaf wetness sensors are not standard even in vineyards where sensors are deployed and these sensors are known to be costly to maintain and less than reliable. The anatomy of wireless sensor networks provides readers with an in-depth discussion of what wireless sensor networks are, their practical applications and their anatomy. The anatomy of wireless sensor networks will be explained using a multidimensional approach. The first dimension focuses on wireless sensor nodes. The second dimension focuses on the networking aspect of wsns and offers a comparison with the osi model. In this Chapter, We will tell you the best choice in 2019. What Is Leaf Wetness Sensor? Can Leaf Wetness Sensors only Measure Wetness? Of course not, it can also measure the blade temperature at the same time and output the value in real time. Finally, some suggestions for the development of leaf wetness sensors are given. 1. Different data models should be established for different crop leaf wetness conditions, so as to be more in line with the actual growth situation. 2. 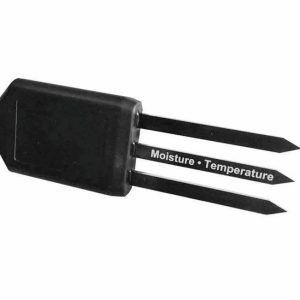 Other monitoring methods can be added and integrated into the leaf humidity sensor, such as leaf temperature, light, etc., to make a multi-in-one sensing terminal. 3. Provide independent power supply and communication to form an independent leaf wetness monitoring network.